Eggs aren’t the only thing that can take a burrito from dinner to breakfast. Take some of your favourite burrito fillings and pile them on top of toast, and BAM, breakfast burrito toast! flavourful option: thin slices of jalapeno! 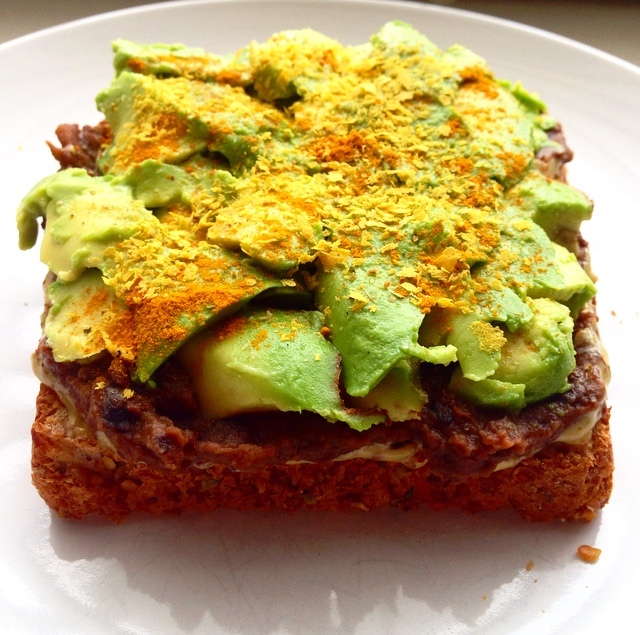 Toast your bread and then layer the ingredients in the order listed. 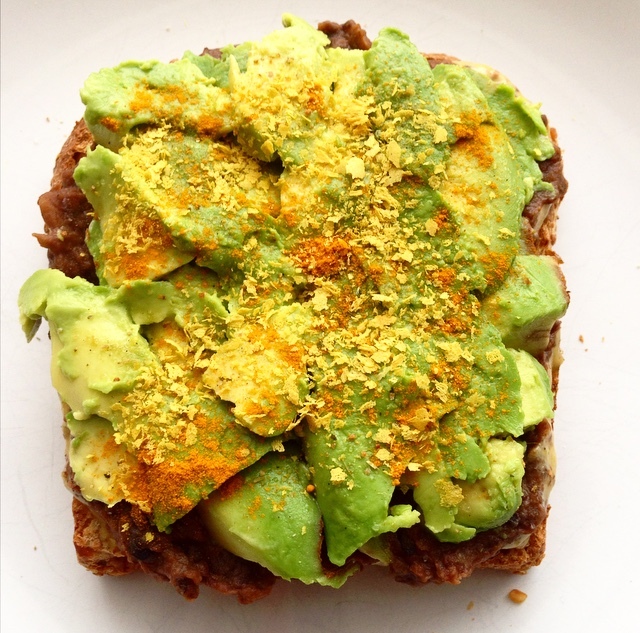 I change up the ingredients to this toast often depending on what I have on hand, keeping the base of refried black beans and avocado. If you try it out with some modifications, let me know how it goes!